Twylla is blessed. She can withstand the deadly poison, Morningsbane, being in her blood. She is destined to marry a prince. She is considered the Queen’s daughter. She is a descendant of the gods. She is Daunen Embodied. Twylla is cursed. She can kill with a single touch. Anyone that touches her skin is poisoned, unless you are a royal. Her role in the Queen’s court is to execute those who commit treason. She is the Sin Eater’s daughter. Twylla is torn. Her betrothed, the prince, has just returned from a two year trip around the kingdom. He is charming, powerful and handsome. Her new guard, Lief, has shown her he doesn’t care about her gift. He is handsome, strong and different. 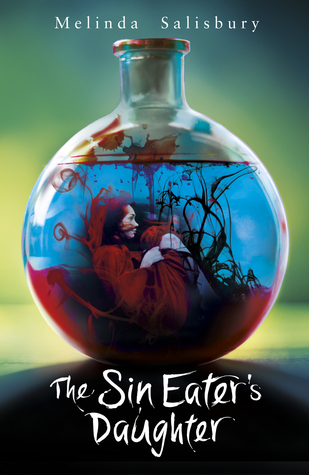 The Sin Eater’s Daughter is the first novel in a fantasy trilogy. With plot twists and turns, you are forced to the edge of your seat. It has a love triangle like no other. It is easy to connect with the characters and their emotions. The novel is very descriptive, allowing the readers to imagine what this fantasy world is truly like. It is the author’s, Melinda Salisbury’s, first novel and is a fantastic read and will leave you waiting for the sequels.